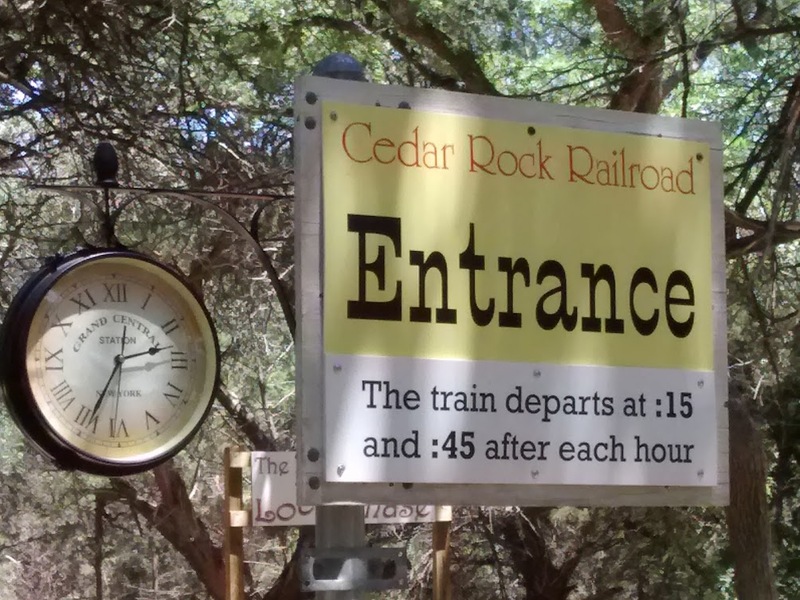 A ride on the Cedar Rock Railroad will delight train lovers of all ages. Tucked inside the Southwest Williamson County Park is an ultimate train-lovers paradise. 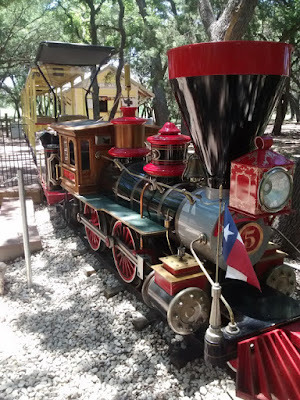 The quarter-scale train takes passengers on a 1.3 mile ride through the shady park. With nature as the backdrop, riders may be lucky enough to spot wildlife up close. On our journey, we glimpsed two mama deer and their does! The serene setting makes for a relaxing journey. 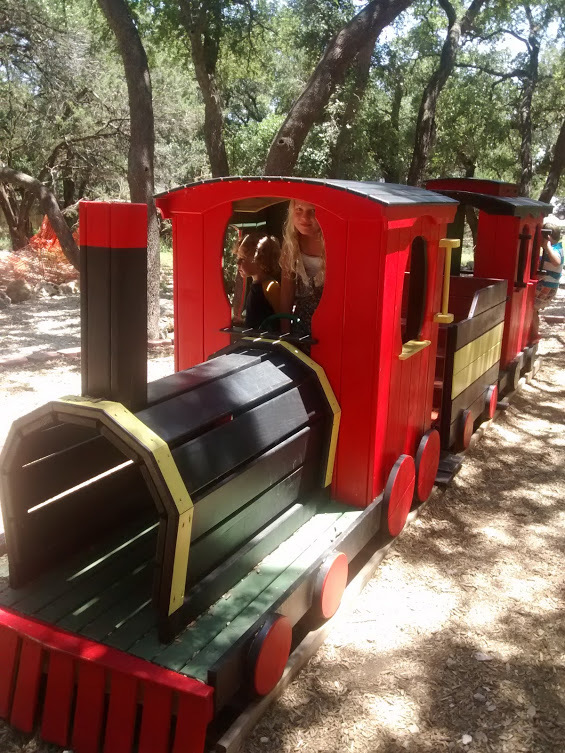 The train is covered to offer ultimate shade for those hot Texas days. 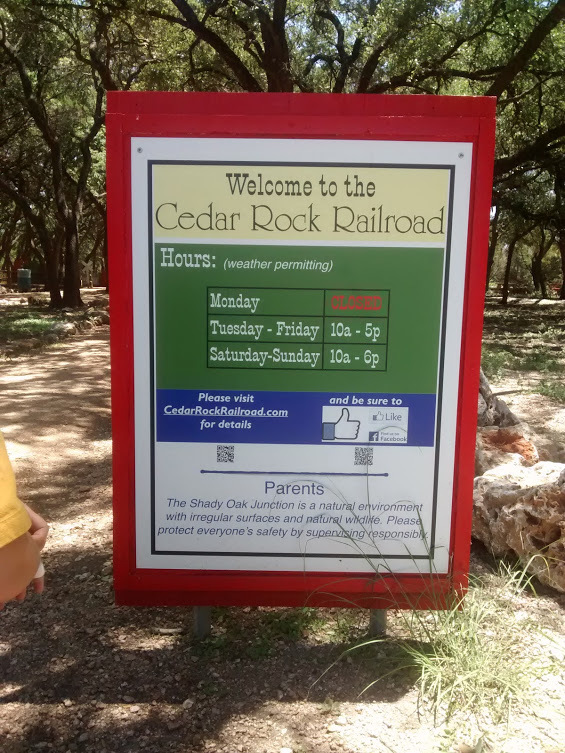 Also located within SW Williamson County Park is the Quarry Splash Pad. 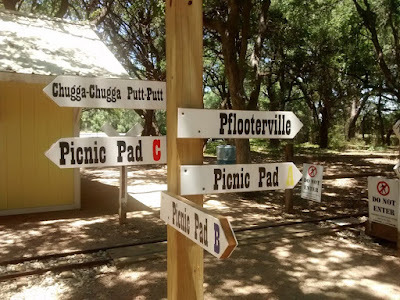 The splash pad is great fun for the kids and is an excellent way to cool down. 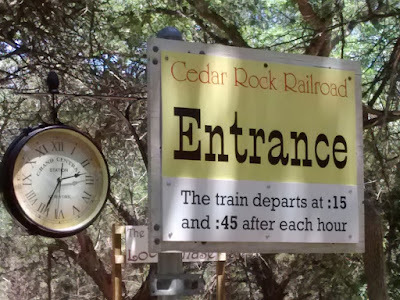 Open 7 days a week until September 7, 2015, the entrance fee is only $2 and makes for a perfect day combined with a train ride. In addition to the train ride, there are activities including The Little Locomotive Chase - mini trains on a track that are available for kids ages 3 and up to ride on. 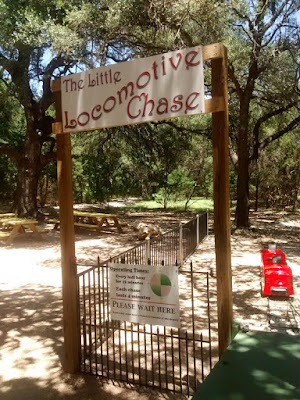 Tickets for the Little Locomotive Chase are an additional $2 per person and only runs while the CRR is in the station. The Imagine RR Playscape has a wooden train where kids can pretend to be little engineers. 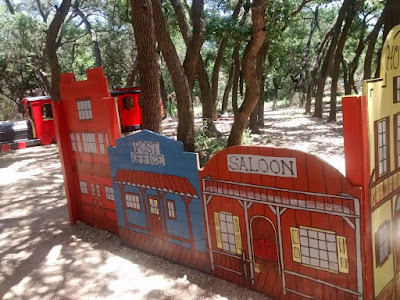 Old Towne Pflooterville is a mini-village where kids can pretend to be gunslingers while chasing bad guys. 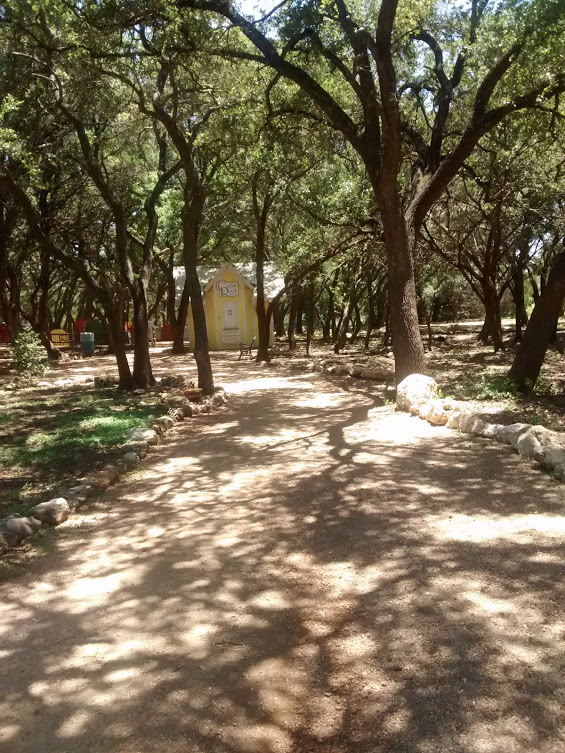 Pack a picnic or bring snacks and drinks to enjoy under the oaks of one of the three shaded picnic areas. The Shady Oak Junction sells a small variety of snacks and drinks in case you forgot the snacks and drinks. Note: Bathrooms are located in the park but not immediately available at Cedar Rock Railroad. Thanks for the great review LiveMom! 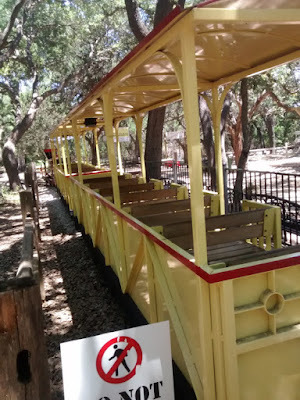 Just FYI, we are now accepting credit cards and kids UNDER 1 are free. 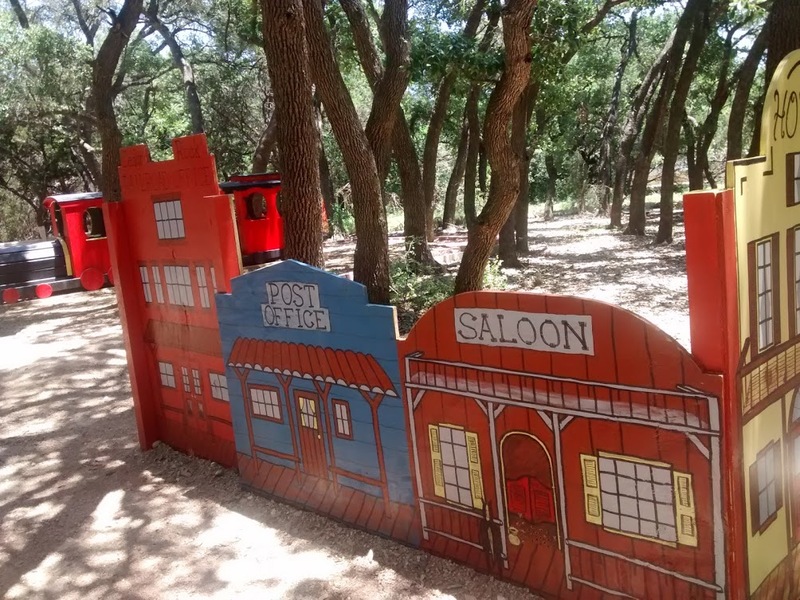 We are open 6 days a week year round (weather permitting) and later this Fall our new miniature golf should be complete and ready to play! Excellent! We had a great little ride and look forward to riding again this fall.